With a capacity to store up to 48 lever arch folders, this fireproof safe from Phoenix is ideal for office use. 30 minute fire rating, £2,000 insurance rating. Shelves incorporate hanging rails to hold filing. 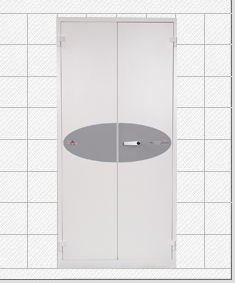 Door includes five 20mm diameter locking bolts. Extra Shelves incorporate hanging rails for suspension files. Phoenix	The Phoenix Firechief FS1653k is designed to offer protection against fire and burglary attack in an office environment. This fire cupboard provides up to 30 minutes fire protection for paper documents and comes with a recommended insurance rating of £2,000 cash or £20,000 valuables. The safe door is secured by high security double bitted key locking, supplied with two keys. This model is also available in 3 other sizes.